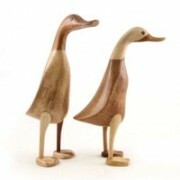 Our Natural finish DCUK ducks are hand carved and hand finished in bamboo. Because of the natural aspect of this material, and the fact that each duck is hand made, no two ducks are the same, every single one is a unique character! 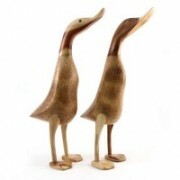 The ducks differ in colour, size and finish slightly from duck to duck, so our photos are a guide. 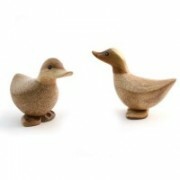 We have ducks, ducklets, ducklings and duckys so you can collect the whole family. 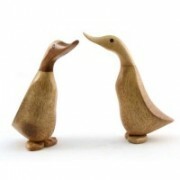 These ducks will make a lovely tactile addition to your home or a lovely gift!